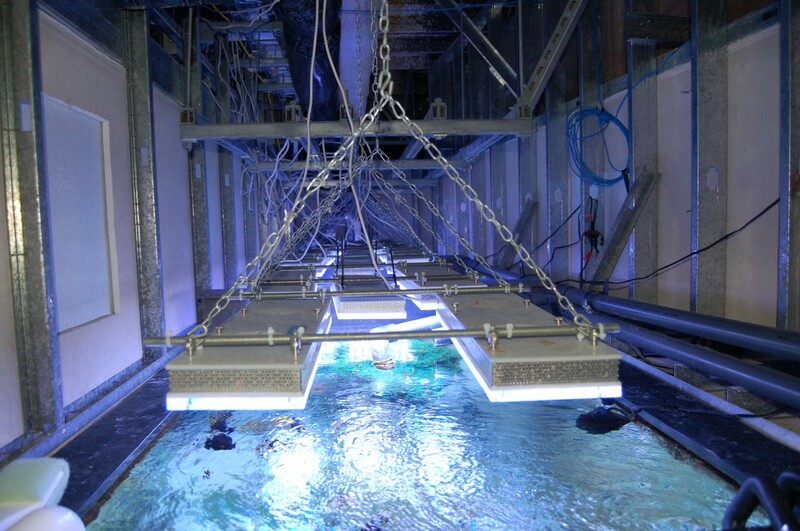 large reef tank displays which were lit by 20 X 1000 watt metal halide lamps. Total more then 20,000 Watt ! Total 7000 gallons and contains numerous fish and corals as well as Tridacna Clams. energy saving 18,000 watt ! Marvell contacted Orphek to inquire if we had any LED lighting systems that could support the numerous corals present in such a deep display. PAR and spectrum to support photosynthetic life in this very large and deep system. Once the newly designed power box was completed with new Meanwell LED drivers, the quote and design were sent to Marvell Semiconductor. Marvell was reluctant and nervous about replacing the 1,000 watt metal halide light fixtures with LEDs fearing this would not provide the needed intensity. After assurance by Orphek, Marvell agreed and replaced the 1,000 watt metal halides on each tank with twelve Orphek PR156XP LED Pendants. The twelve PR156XP Pendants were in operation for over one year and coral and clam growth were very good. they were not necessary for coral and clam growth. Corals and clams are thriving and growing in depths of up to five feet (1.8 meters). This is remarkable considering the depth of the tank and attests to the intensity the PR156XP Pendants are capable of producing. At the time of the Marvell install, our Atlantik Pendants were not available. If they were, the system would require fewer pendants and would produce an even higher PAR level. This upgrade saves Marvell Semiconductor both energy and maintenance costs by a considerable margin. 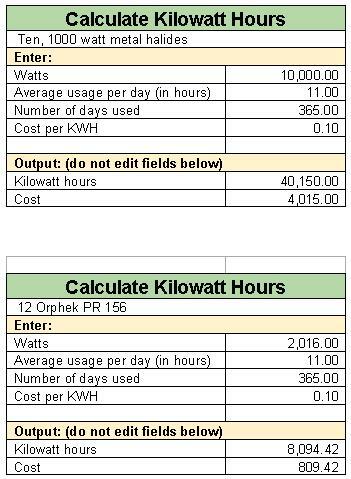 A comparison in energy savings between ten, 1,000 watt metal halide pendants and the Orphek PR156XP Pendants is shown below. The chart reflects the savings of each individual display tank. Based on the above charts, an energy savings of $6,411.16 per year resulted in the Orphek LED upgrade to both aquariums. This does not include yearly lamp replacement cost or the maintenance time required to replace the lamps. 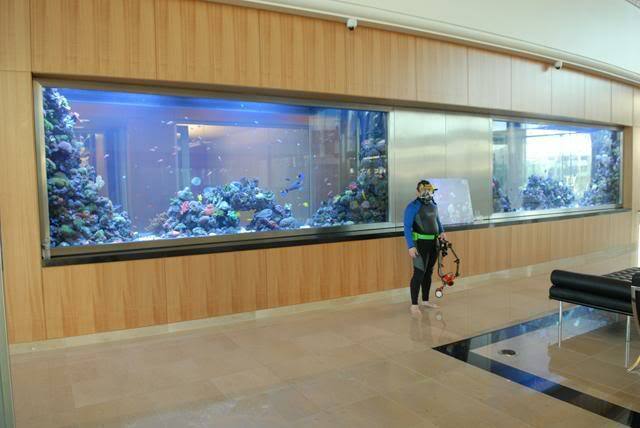 The Orphek LED lighting upgrade project was installed by Sea Life Aquarium Maintenance Company located in San Jose, CA. 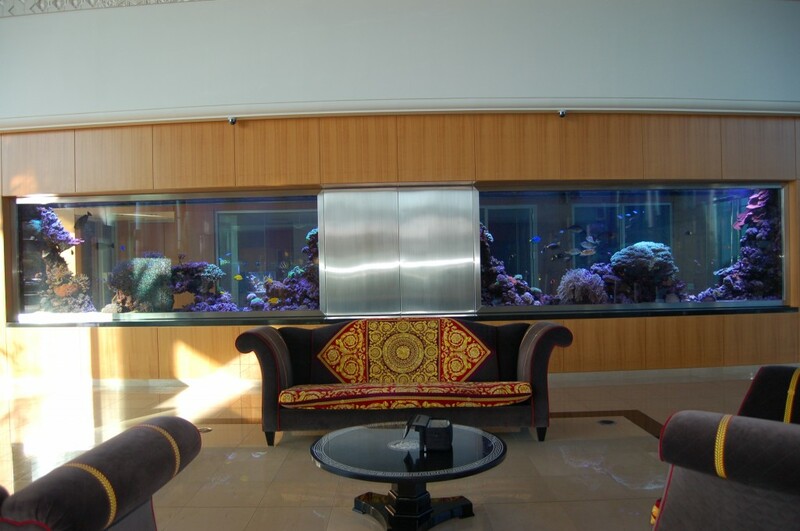 If you own an aquarium installation and maintenance company, do consider Orphek LED Lighting for your next installation project. We can provide LED lighting for most any application you may have. Founded in 1995, Marvell Technology Group Ltd. has operations worldwide and approximately 7,200 employees. Marvell’s U.S. operating subsidiary is based in Santa Clara, California and Marvell has international design centers located in the U.S., Europe, Israel, India, Singapore and China. drives multiple platforms including high volume storage solutions, mobile and wireless, networking, consumer, and green products. World-class engineering and mixed-signal design expertise helps Marvell deliver critical building blocks to its customers, giving them the competitive edge to succeed in today’s dynamic market.